On August 21, the majority of EU member states rejected the request for the initiation of expiry reviews with regards to the antidumping and anti-subsidy measures for crystalline solar PV modules and cells originated in or consigned from the People’s Republic of China. As such, the undertaking on the minimum import price (MIP) expired on September 3, after almost five years in place. Here, Edurne Zoco, Research Director at IHS Markit looks at the changes this will likely bring to Europe’s PV market. 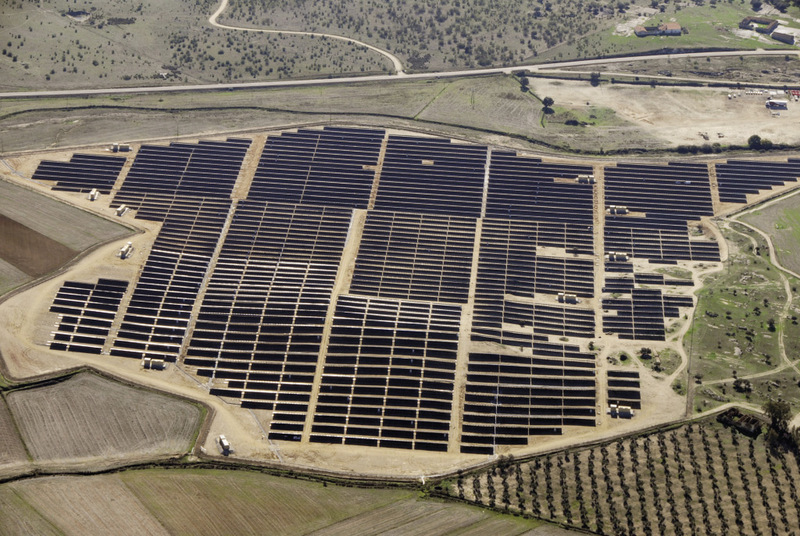 A 10.9 MW PV project in Southern Spain. IHS Markit expects lower module prices thanks to the end of the MIP to drive demand in Europe, with Spain one of several markets set for a boom next year. In retrospect, the actual impact of the controversial MIP in limiting the entry of modules manufactured in China and maintaining higher-module prices in Europe has been rather limited. According to IHS Markit internal data, almost 80% of modules shipped in the first half of 2018 were outside the MIP framework, many of them imported from manufacturing locations in Southeast Asia and below MIP prices. We expect a strong increase in shipments from China. The elimination of the MIP opens the European market to tier-1 Chinese players that until now could only supply Europe from their factories in Southeast Asia; and will also open the market to large tier-2 players that don’t have factories outside China, and therefore have not been able to access the market for the last five years. The timing is very important, since domestic demand in the Chinese market is weak in the second half of the year following major cuts to the national incentive scheme in May. Restored access to the European market could help such manufacturers to reduce their inventories and increase utilization rates in their Mainland China facilities. The arrival of new manufacturers to the market will intensify price competition in Europe, but many will struggle with limited bankability and weaker sales distribution channels compared to existing tier-1 players that have a well-established commercial presence in the region. Module prices could decline as much as 30% from current MIP levels. Prices in Europe will quickly drop in the coming weeks, as the MIP was artificially maintaining higher levels than the global average – the MIP price for multi modules was €0.30/W ($0.35) – 30-40% above average global prices. Due to this price gap, and the willingness to accept minimal margins following the slowdown of demand in China, termination of the MIP will cause module prices in Europe to decline for new contracts by as much as 30%. For project developers and EPCs, such a cut will immediately drive down total project costs and the corresponding LCOE, and raise project margins for already contracted projects. From now on, prices in Europe will return to fluctuating in line with supply and demand, as they do in China and other markets without trade barriers. The precise level of price decline will depend on how China market demand evolves in the next two to three quarters, and the final decisions on antidumping and safeguard measures in India. These lower prices will bring about the growth of non-subsidy PV projects, as of 2019. In IHS Markit’s latest PV Installations Tracker published in June, we had already assumed, as our most likely scenario, that the MIP would not be extended after September. Predicting 12.3 GW of installations in 2018 and 16.9 GW in 2019, with demand booming next year especially in Spain, France, Germany, and the Netherlands, aided by lower module prices. The biggest impact of an MIP elimination will be to spur 40% year-on-year growth in new PV installations in Europe in 2019. In particular, the developers of large utility-scale projects in Southern Europe will benefit from the increased competition among suppliers. Across all segments, PV systems will benefit from being competitive with on-grid electricity prices, which will lead to a comeback of new PV installations across the continent. Regulatory barriers will still control the feasibility of PV and steer the development of specific segments in specific markets, but the investment cost will become less of a hurdle. Southeast Asia’s production capacity will move away from Europe, and focus on the U.S. market. Chinese manufacturers built facilities in Southeast Asia in the last few years to bypass existing trade barriers and to be able to continue supplying modules both to Europe and to the United States. However, without the MIP, it will make more sense to ship to Europe directly from China rather than from Southeast Asia because of the lower cost structure of their Chinese facilities. In this new scenario, the current capacity in Southeast Asia now has only a competitive advantage to serve the United States market and potentially India (excluding the 7 GW of capacity in Malaysia that is also impacted by the current safeguard duties in India). For the United States, the biggest impact will be the increasing availability of Southeast Asian production to serve the market, since cell and modules manufactured in China are still subject to the high antidumping and countervailing duties, in addition to the import taxes added in the 201 case. Europe’s manufacturing base will face competition, but also benefit from cheaper Chinese cells. There is currently around 3 GW of module manufacturing capacity in Europe (excluding Turkey), with diverse manufacturing conditions and utilization rates, and only 400 MW of cell capacity. European manufacturers that have higher processing costs than their Chinese counterparts will now face stronger price competition. However, the good news for European module makers is that they will now be able to source cheaper Chinese cells in the market. Cheaper cells could help sustain some competitiveness, in particular, in the rooftop segment where local players have a stronger presence. Criteria on low carbon footprint, as included in French PV tenders, will also benefit some of the local manufacturers to a small extent. The share of monocrystalline modules in Europe has significantly dropped since the implementation of differentiated MIP pricing levels for monocrystalline and multicrystalline cells and modules. A much higher minimum price for monocrystalline products made it difficult to compete against multicrystalline products with increasing efficiency. However, in recent years, the price gap between monocrystalline and multicrystalline products has closed, making monocrystalline technology highly competitive for both the rooftop and ground-mounted segments. Thus, IHS Markit anticipates that the monocrystalline market share in Europe will start growing again for both standard and PERC modules, as has occurred in all other global markets in the last few years.